Update Samsung is looking for 10 billion won ($9.43m) in compensation from Dyson after the vacuum maker dropped its patent lawsuit against the Korean firm. The chaebol is claiming that the IP litigation over its MotionSync range of hoovers damaged its corporate image. Dyson filed the suit with the UK High Court in September last year, alleging that the steering mechanism on MotionSync vacuums was a direct copy of two of its models. But the company voluntarily dropped the suit three months later. A Samsung spokesperson told The Korea Times that the firm had filed against Dyson in the Seoul Central District Court because the British company's accusation that Sammy was a serial patent violator hurt its image. “We are initially seeking ten billion won compensation from the UK-based manufacturer, however, the amount will increase depending on how the court proceedings go,” they said. 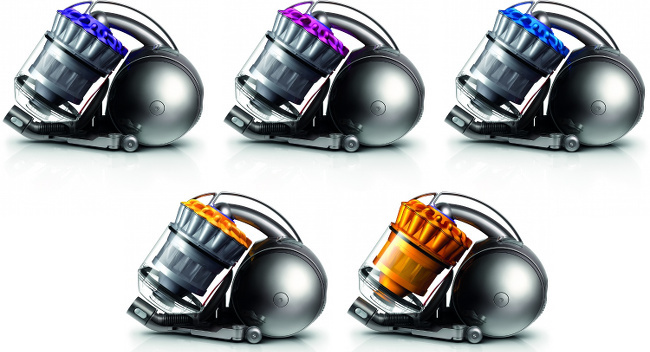 Dyson pioneered cyclonic vacuum cleaners and digital motors – and has been developing them ever since. We patent our technology, and naturally defend it. It is surprising that a company over 100 times bigger than Dyson is so worried. The patent system offers us some protection but not enough: with an army of lawyers, hidden prior art is occasionally found and ways to design around existing patents identified.